The Twin Kids Teddy 4pc flatware set for children from Zwilling JA Henckels is sure to make meal time fun. 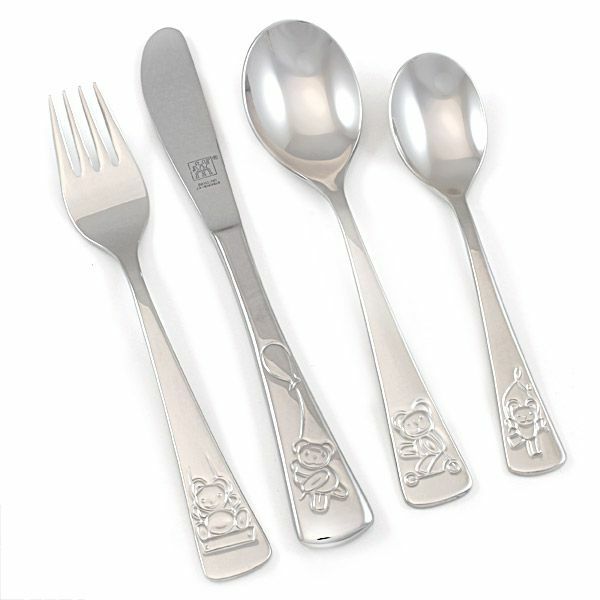 This charming flatware sets features an adorable bear on each piece swinging, holding a balloon, riding a scooter or jumping rope. 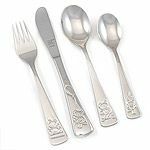 This flatware set is recommended for children ages 3 and up and crafted from top quality 18/10 stainless steel. The four piece set consists of a fork, knife, big spoon and small spoon. If you have a little one in your life celebrating a birthday or other special occasion this set is a wonderful gift to give.